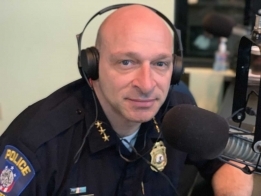 January 22, 2019 – Decatur Police Chief Jim Getz says a recent report showing a drop in violent crimes and property crimes in Decatur is based on statistics and fact, not perception in a new podcast. Total Violent Crimes and Total Property Crimes were down in 2018 as compared to 2017. Violent Crimes were down 19.41 % and Property Crimes were down 14.48 %. Listen to the podcast now!